(OTTAWA) — Hundreds of First Nations people from across the country rallied on Parliament Hill yesterday in support of increased education funding. 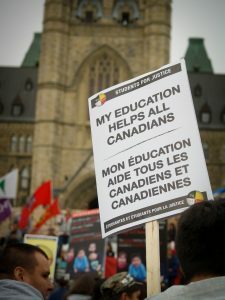 The rally was the culmination of a ‘National Week of Action on Education,’ which kicked off when dozens of community members from Quebec’s Kitigan Zibi Anishinabeg First Nation marched over 130 kilometres to the nation’s capital. Both the march and the Week of Action were organized in part by the Assembly of First Nations, who are hoping to draw attention to what they say is a serious decline in the number of First Nations people attending and graduating from college and university. The Assembly says Canada must honour treaties which guarantee First Nations the right to education. They’re calling on the federal government to develop a comprehensive plan, including a significant increase in funding for post-secondary students. A spokeswoman for Indian and Northern Affairs says that, since 2008, the federal government has invested $395 million into First Nations education. But Assembly of First Nations National Chief Shawn Atleo says they should be getting billions more. Since 1996, federal funding for First Nations post-secondary education has been capped at a two per cent annual increase, despite an exploding population. That means more youth fighting for access to an ever-dwindling pot of money. Money that goes toward paying their tuition, school supplies, living expenses and other support services. student enrollment [sic] in the Program has declined [18.5%] over the past eight years from 27,000 students (1998/99) to 22,000 students (2006-2007). That was enough to bring Thomas Cromarty to the steps of Parliament. A member of both Sachigo and Big Trout Lake First Nations in northwestern Ontario, he now calls Ottawa home. Cromarty was only recently called to the bar after graduating with a law degree from Osgoode Hall, something he says might not have happened without federal funding. It’s a sentiment echoed by the Centre for the Study of Living Standards. In a 2007 report, the Centre maintains that if the so-called “First Nations education gap” was closed, it could mean a $400 billion contribution to the country’s Gross Domestic Product (GDP) over a twenty year period. Also at the event was Pauline Mickelson, a member of the Sachigo Lake First Nation in northwestern Ontario. The post-secondary graduate of Lakehead University’s Commerce program made the 19-hour drive from Thunder Bay to be at the rally, arriving in Ottawa at 3 AM the day of the demonstration. 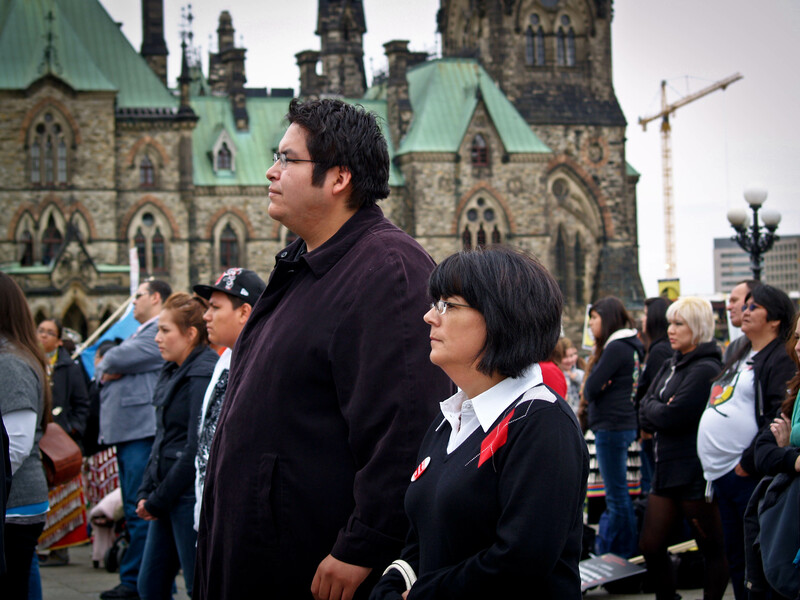 Martha Troian (Lac Seul Ojibway) is an Ottawa-based journalist. This is her third contribution to MEDIA INDIGENA.